Sally Goldenbaum is a sometime philosophy teacher, a knitter, and an editor, and the USA Today bestselling author of more than thirty novels. 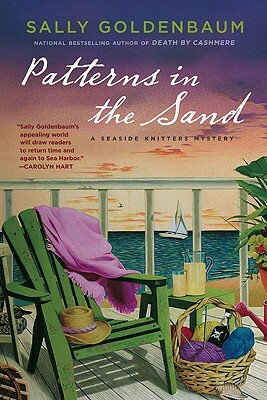 Sally became more serious about knitting with the birth of her first grandchild and the creation of the Seaside Knitters mystery series, which includes the recent titles A Finely Knit Murder, Murder in Merino, and Angora Alibi. Her fictional knitting friends are teaching her the intricacies of women’s friendship, the mysteries of small-town living, and the very best way to pick up dropped stitches on a lacy knit shawl.